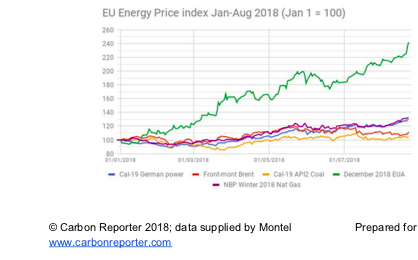 EU carbon prices surged by almost a euro with 3.1% within the day to extend their 10-year high for a second successive session on Thursday, 23.08.2018, as power prices climbed and analysts revised their near-term and medium forecasts upwards after underestimating the year’s stellar gains. EU carbon allowances are expected to continue to climb for the rest of the year as speculators keep buying in anticipation of further increases and utilities lend support, analysts said, following several weeks of strong price increases that have already pushed prices to their highest for a decade. 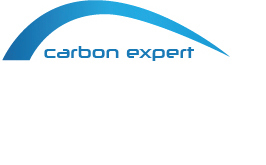 EU carbon prices could average €35-40 over 2019-2023, accelerating coal-to-gas power switching and potentially questioning the rationale for keeping old coal and lignite power plants running beyond 2021, analysts said on Tuesday, according to Thomson Reuters Point Carbon. They have adjusted their average price forecast for 2018 to €20, and say the price could reach €25 before the end of the year. For your daily trading operations or any speculative tradings, we are here to help you!